What do I do if I've received a damaged product? If you have received a book that is damaged, please use our Contact Us form and reference your order number to receive a replacement copy. Damaged books will be replaced if notified within 60 days of receipt. If you know your password, log in and click on My Account. Click on the Edit tab (upper right, above Read Now or Download buttons). Enter your current password and type your new password into the password and confirm password fields and save. After logging in, you may also change your password here. If you are not logged in or cannot remember your password, you may request a new password. What types of devices can I use to access my Online ePub? Our online reader allows you to access your materials on any Internet-enabled device including tablets, smartphones, desktops, and laptops. What are the advantages to a web browser platform? Our online reader provides a consistent design and experience across all browsers and devices, allowing you to focus on your book instead of learning dealing with downloading software. How do I add notes to any part of the page, highlight an area, enter my own text, or free draw? Step 1: Select the pen and paper icon located in the upper left-hand side of the tool bar next to the search icon, and select which tool you would like to use to make an annotation. Step 2: Select the color of your text, note, or highlight. Step 3: Click anywhere on your book to insert your annotation. To delete an annotation, select the pen and paper icon located in the upper left-hand side of the toolbar and select the ‘Interactive Tool’ icon (looks like a hand). This will allow you to move, edit, or delete an annotation. YES, the online reader offers an offline function where users can select a page range to cache within their browser for when wifi is not available. This book is not a downloadable. How do I create a flashcard? Option 1: To create a flashcard from text, click and hold down the left mouse button, then drag the pointer over the word(s) and select the ‘flashcard’ icon in the tool box that appears. Option 2: To create a flashcard from the definition of a word, highlight the word and select the ‘Define’ icon (looks like a pair of glasses). Click the rectangular flashcard icon next to the definition to create the flashcard. Create a new flashcard deck, or add the flashcard to an existing deck. Yes, you are allowed to print a percent of the book. How do I share my notes and create a group within Collaboration? Step 1: Select the ‘Navigation’ icon in the upper left-hand corner of the screen and select ‘Collaboration’. Step 2: Select ‘Create a New Group’ and complete the fields. Step 3: Share the 8-digit code with others to allow them to join your group and share your notes and highlights. Group members can switch back and forth between your shared notes, and their own! For real-time collaboration you must join a session. Within ‘Groups you Manage’ you can locate the unique access code, join the session for real-time collaboration, remove users, or delete your group. Step 1: Select the ‘Navigation’ icon in the upper left-hand corner of your screen and select ‘Create a Study Guide’. Step 2: Organize your study guide by section or colors, or ‘Select All’. Then, select ‘Create Study Guide’ to view your automatic study guide. Who do I contact if I’m having trouble viewing my book or digital content? Please email edubooks@ametsoc.org with any problems. In your email, provide the title, your email address and full name, and your order number. Please explain the problem and include any error messages you receive. How can I access my ePub Download to download it? After logging into the AMSEDU Bookstore, click on My Account at the top of the page. Make sure to click the Download button for all available ePub Downloads. You may also access your My eLibrary here. Can I reinstall my ePub Downlaod if I change or reformat computers? Yes, you can download your books on up to 6 different machines. Login download your books from your eLibrary, authorizing all computers or devices with the same Adobe ID. Can I make a backup copy of the ePub Download? No, but you can return to this website to download the books again. When does my ePub Download rental begin? The rental period begins when you first download the ePub Download. Our manuals and packages are updated annually before the start of a new academic year; they will be available mid July. New editions of textbooks are released on a rotating basis. What is Adobe Digital Editions? Is it safe to download? Yes, Adobe Digital Books is safe to download. The ePub Download requires a free Adobe DRM compatible ePub reader be downloaded and installed. For computers, both Macs and PCs, that is Adobe® Digital Editions, which offers an engaging way to view and manage ebooks and other digital publications. You must register your Adobe Digital Editions account in order to read our DRM protected content. To download or read more about Adobe Digital Editions click here. Can I read my ePubs offline? The ePub Download can be read offline on a computer or device using a free Adobe DRM compatible ePub reader. See our eReader Hardware Guide for more details. Only credit card payments are accepted through the online store using MasterCard, VISA or American Express. If you are a bookstore looking to place an order, please fax your purchase order to 202-737-0445 or email the PO as a pdf to booksales@ametsoc.org. The term eBook refers to an electronic version of a printed book. eBooks can be read on a variety of devices in addition to eReader software on devices such as mobile phones and personal computers. 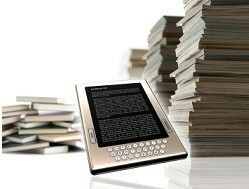 The most important consideration when purchasing an eBook is what device you intend to purchase the eBook for. 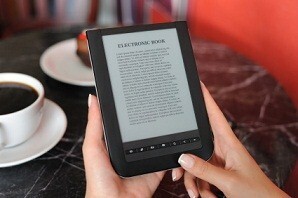 eBooks in ePUB and PDF format may be read on several eReader devices (Sony Reader, B&N Nook, for example). The Amazon Kindle uses the MobiPocket file format. All Apple devices with the Stanza app installed will automatically download eStorefiles. eReader devices are hardware devices that function primarily to display eBooks. eReader software is a program that allows the reading of eBooks (or non-native eBook formats) on additional hardware devices, such as personal computers or mobile phones. An example of eReader software is the free Stanza app which is designed to read ePUB format books on Apple devices. Stanza 3.0.3 will also read eBook PDF files, but PDFs are not optimized for small screens, so the reading experience on handhelds may be inferior to the experience with ePUB. For more information see our eReader Software Guide. The eBook format you choose must be compatible with your eReader device or the eReader software you wish to use. For further instructions by device, please see our eReader Hardware Guide. The eBook format you choose must be compatible with your computer, handheld device, or eReader operating system, and the reader software you use. Bluefire Reader App - Is a free app compatible with iPhone®, iPad®, and iPod®touch that supports PDF and ePub formats. Aldiko - Is a free app compatible with the Android that supports PDF and ePub formats. ePUB and PDF - Are readable on computers and handheld devices using Adobe Digital Editions (download for free). ePUB can also be read on several mobile reading devices (Sony Reader, B&N Nook), and using the Mozilla Firefox browser add-in ePUB reader. Offline content may also be read using any eReader compatible device, see our eReader Hardware Guide. *This chart is not all inclusive. Additional formats may be supported and additional reading devices are available. **All Apple devices with the Stanza app installed will automatically download ePub files. eBooks in ePub format may be read on several dedicated mobile reading devices (Sony Reader, B&N Nook, for example). The Amazon Kindle uses the MobiPocket file format. Click here for a detailed list of eBook PDF and ePub supported devices. For more information on what software is required to view your purchased book on a computer, eReader, or handheld device see our eReader Software Guide. The provided link may be used on 6 different devices at different times. This link is accessible from the original email. Access may be restricted to use by a single consumer with authentication through an Adobe ID. The downloaded file may not be transferred to a different device. The ebook may not be shared with another user. The ebook file may not be copied. To read an ePub on an iOS device (e.g. iPhone, iPad) you must download the Bluefire Reader app. You can add your eBook to your iPad or tablet by logging into your account directly from the device using the tablets web browser. You can make your purchase directly on the device, or log in with your device to download previously purchased titles. To download titles directly to your device, log into your account by clicking Login as found in the upper right corner of the home page and click on My Account. This will take you to your My eLibrary to access previous purchases. You may also login directly here. For more detailed instructions on making a purchase directly from your iPad or tablet, see How to Install and Authorize Bluefire Reader App and How to Purchase and Download an eBook for your iPad or tablet. Install and authorize Adobe Digital Editions with your Adobe ID. Connect your NOOK to your computer. Start Digital Editions (Note: If you were already using Digital Editions, restart it so that it will find your NOOK device and start the Device Setup Assistant). Click Finished to complete the process. Your NOOK will now be listed/show up as one of your Bookshelves in Adobe Digital Editions—which means you’re ready to transfer books from your Adobe Digital Editions Library. Sign into your Kobo account. Go to your Kobo library, and click the Adobe DRM epub link. You will be prompted to download or open an .acsm file. NOTE: If you downloaded a book and received an .acsm file, it is because the .ascm file is the license for the eBook you bought. To download the book, just open the .acsm file using Adobe Digital Editions. Click Open, and the Adobe Digital Editions application will open up. Adobe Digital Editions will open the file (which is a license for your book), download the rest of your book, and add it to your ADE library. Once the Kobo book has been transferred to your NOOK, it will appear in the My Files section of your library on your NOOK. There will be a folder called Digital Editions. Once you tap on the Digital Editions folder, the eBook files transferred will appear on the screen, ready to open and read.